As he continues to be linked with a move to Real Madrid, Neymar said he was happy at Paris Saint-Germain. Paris Saint-Germain star Neymar insisted he was happy with the Ligue 1 giants amid persistent links to Real Madrid. 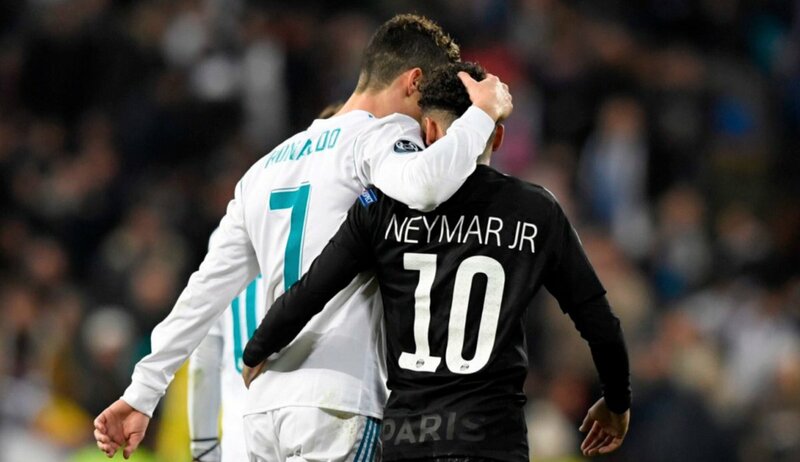 Neymar and PSG suffered a 3-1 loss to Madrid in the first leg of their Champions League last-16 tie at the Santiago Bernabeu on Wednesday. The Brazil international has been linked with a stunning move to Madrid despite only joining PSG in a world-record €222million switch from Barcelona last year. But, speaking after the first leg, Neymar said he was happy at PSG, where he is contracted until 2022. "I have a contract with PSG. I am happy with my team-mates and I only think about my story here," he told reporters, via Sport. PSG are facing a huge battle to advance to the Champions League quarter-finals after their first-leg loss. But Neymar hopes they can deliver in the return leg in Paris on March 6. "Nothing is decided. There is another game at home, in front of our fans, which will be very hard, like the one in Madrid," he said. "But I hope we can do it."